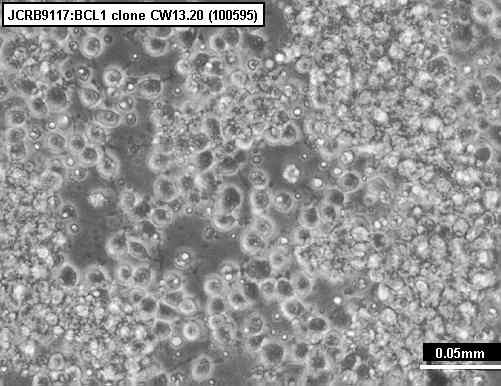 Mouse B cell line, where the differentiation is stimulated by B cell differentiation factors. 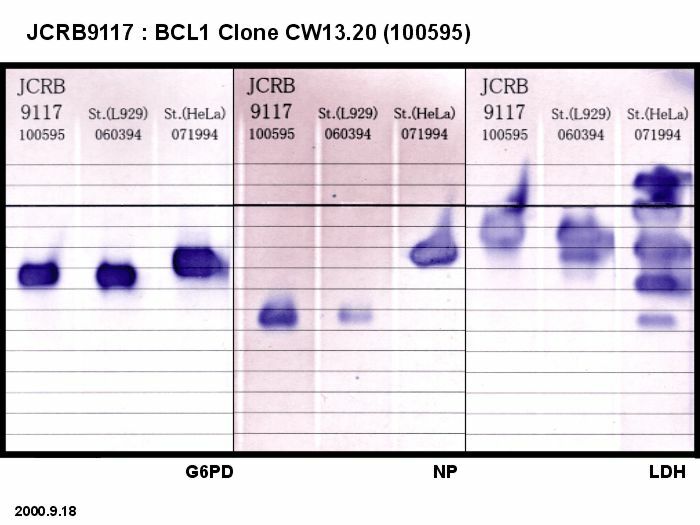 murine B cell leukemia, subclone 3B3 of BCL1 clone CW13.20. 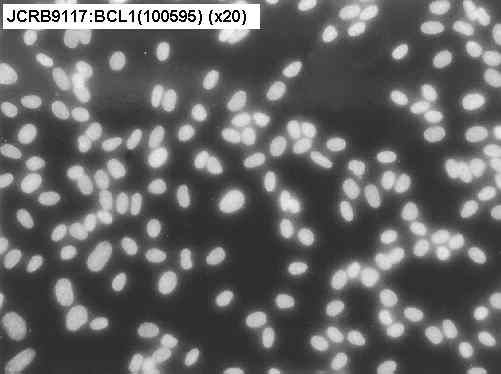 Cells are treated with 0.25% trypsin-0.02% EDTA and scraped. Lymphokine-induced IgM secretion by clones of neoplastic B cells. RPMI1640 with 1mM HEPES,NEAAs,1mM Na-pyruvate,0.055mM 2-mercaptoEtOH & 10% heat inactivated FBS. 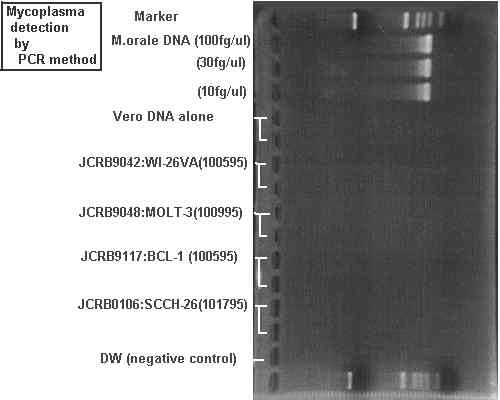 Rince cells with PBS(-) once & treat cells with 0.25% trypsin-0.02% EDTA then scraping. G6PD, LDH and NP examined. Mouse. 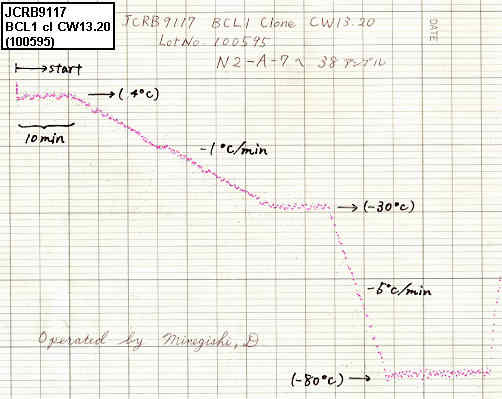 Cells were harvested by Pipetting and diluted to fresh medium. Cell attachment is very weak, and cells will form cell aggregates. Some cells will grow as suspension.